Mazda’s new powerful 3-row SUV, the 2019 Mazda CX-9 sports utility vehicle offers spacious room for 7 passengers to travel in upgraded luxurious appointments, including available Rosewood inlays and Nappa leather seating. The Mazda CX-9 is offered in 4 accommodating trim levels, including Sport, Touring, Grand Touring and the Signature trim. All of Naples and the rest of the Southwest Florida area can visit their local Mazda dealer – Naples Mazda – to discover the spacious selections of the new 2019 Mazda CX-9. As the 2019 Mazda CX-9’s luxurious design is expected, it still manages to include all the latest mobile technology as well. Apple CarPlay™ & Android Auto™ integration, SiriusXM® and the MAZDA CONNECT™ infotainment system ensure your passengers stay connected and entertained. Operating your vehicle has never been easier with technical innovations such as push-button start, rear 360-degree view camera, and an Active Driving Display. For the 2019 Mazda CX-9 has made strides to include interior features that other competitors only offer on top trims including ventilated seating offered at the Touring trim level. 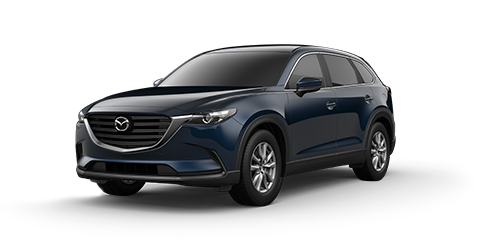 Stop by your Naples, FL Mazda car dealership now and take a look at the 2019 Mazda CX-9 to get a mobile tech upgrade on your ride. Mazda has refined the driving experience, making the SUV more responsive through suspension and steering changes. As a 7-seater SUV, it defines the crossover best in category with exceptional good ratings on the driving dynamics resulting in comparison to much smaller vehicles’ handling capabilities. Mazda’s i-ACTIV AWD® available in the Sport trim standard, and an upgrade in the other trims, was designed to automatically distribute torque in real-time between front and rear wheels for ideal all-wheel drive power distribution. Mazda has also designed a practical, spacious comfortable interior that truly is an area that Mazda excels in over other SUV crossovers makers. Engine performance is produced from the combination of a 2.5-liter twin turbo 4-cylinder engine with a fine-tuned 6-speed transmission. The Mazda CX-9 is very responsive and gets some good low torque from its’ powertrain showing its authority when needed with super smooth operation during acceleration. Want full control? The Mazda CX-9 even offers a manual shifting option from takeoff to receiving the right amount of power for passing or cornering. For being a 3-row SUV, the Mazda CX-9 still delivers fun driving dynamics and Mazda also includes a sport-mode switch that adjusts throttle control and sets a more aggressive shift changes for full power control. Cruising is still quiet in the Mazda CX-9, adding to the luxurious ride with high-tech acoustic glass for better sound suppression. Mazda now also offers a more thicker headliner and thicker floor mats, which aid in noise suppression. Drivers in Naples and Bonita Springs can take the new 2019 Mazda CX-9 for a thrilling test drive at their local Naples car dealership. Mazda’s infotainment system with Apple CarPlay™ and Android Auto™ connects your phone effortlessly to access your apps to work on the go, and it helps keeps all your passengers entertained. Available Bose® premium audio raises music to crystal clear performance levels by using a set of 12 perfectly located speakers throughout the interior. Infotainment comes with a pair of USB ports, a 7-inch touchscreen and apps such as Pandora® and Stitcher® come standard. You can be sure that the 2019 Mazda CX-9 was designed with safety in mind, knowing the Mazda CX-9 was awarded NHTSA’s Highest 5-star Overall Rating. Mazda’s i-ACTIVSENSE® includes technologies for safe driving that identify impending hazards. These pre-crash safety technologies help to avert collisions or reduce their severity in situations where they cannot be avoided. Mazda has engineered the i-ACTIVSENSE® system that identifies hazards slowing down the vehicle to avoid an accident. Mazda’s Forward Obstruction Warning system sounds an alarm if a vehicle gets too close to warn that there is risk of collision. Also, the Mazda CX-9 can automatically control the speed to maintain the distance you desire to the next car in traffic for amazing cruising control. Mazda’s Active Driving Display collects the most important information about your drive in one place even showing your blind spot to monitor lane changes without turning your head. Naples Mazda is Southwest Florida’s home for the impressive 2019 Mazda CX-9 vehicle. Visit Naples Mazda Showroom today to learn more about the new Mazda CX-9 and explore all the latest incentives to easily drive away with one today. 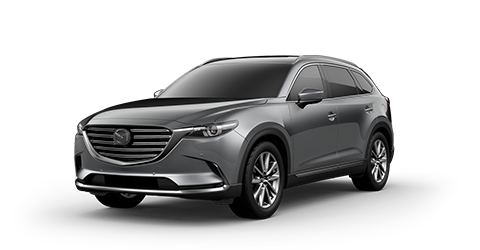 Naples, Bonita Springs, Fort Myers, and Cape Coral drivers can be sure to have an informed decision after our friendly staff assist you with test drives, demos, and answers to any questions about all the 2019 Mazda CX-9 trim levels we have in stock. Call us at (239) 597-9607 to schedule a test drive. Or, you can simply visit our showroom – located at 6387 Airport-Pulling Rd, Naples, FL 34109 – to take a test drive at your convenience.